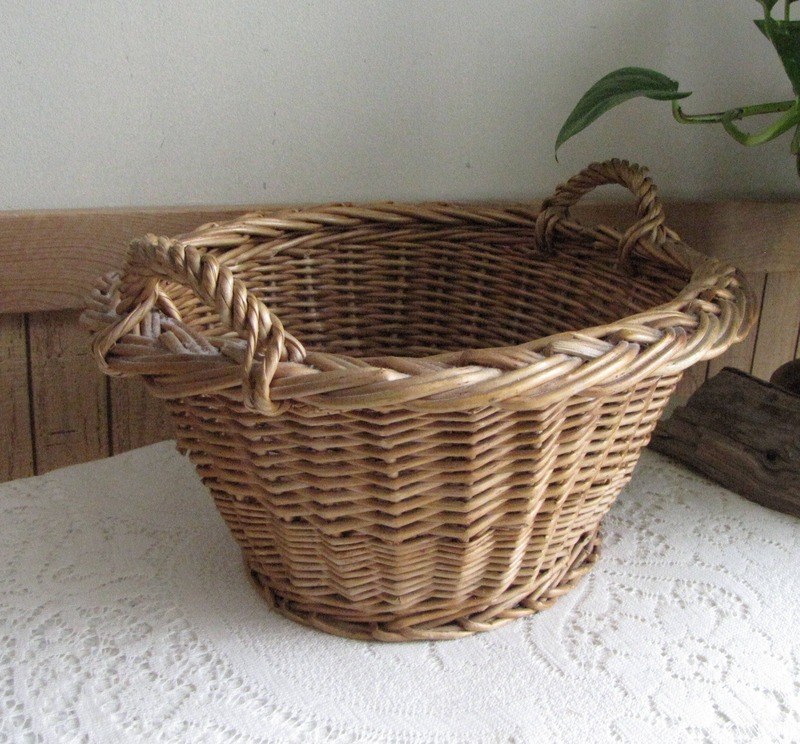 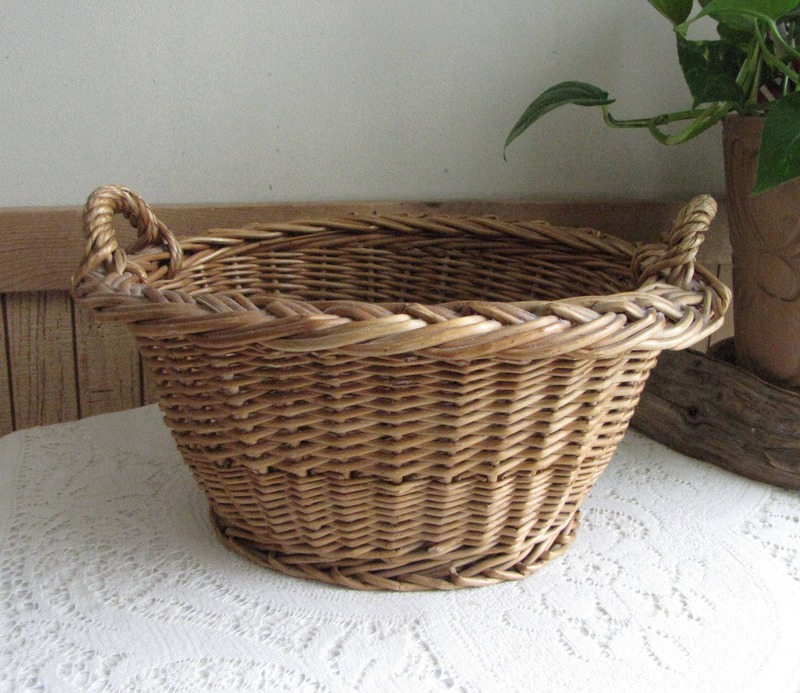 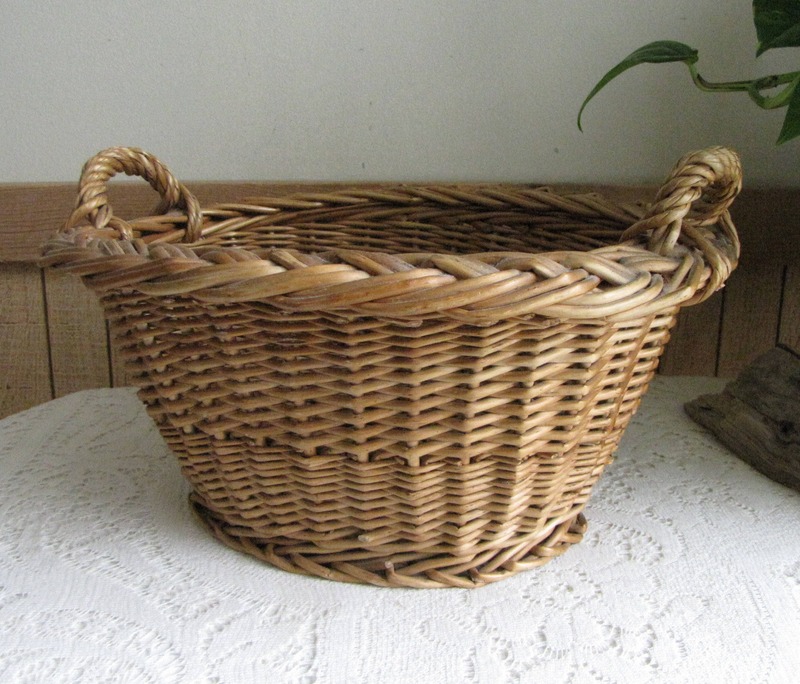 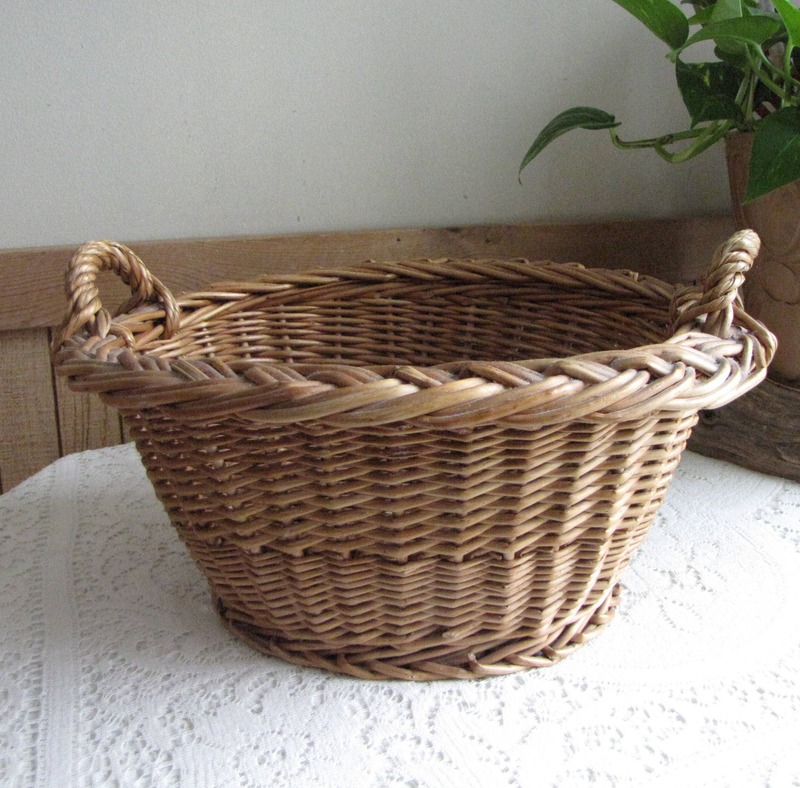 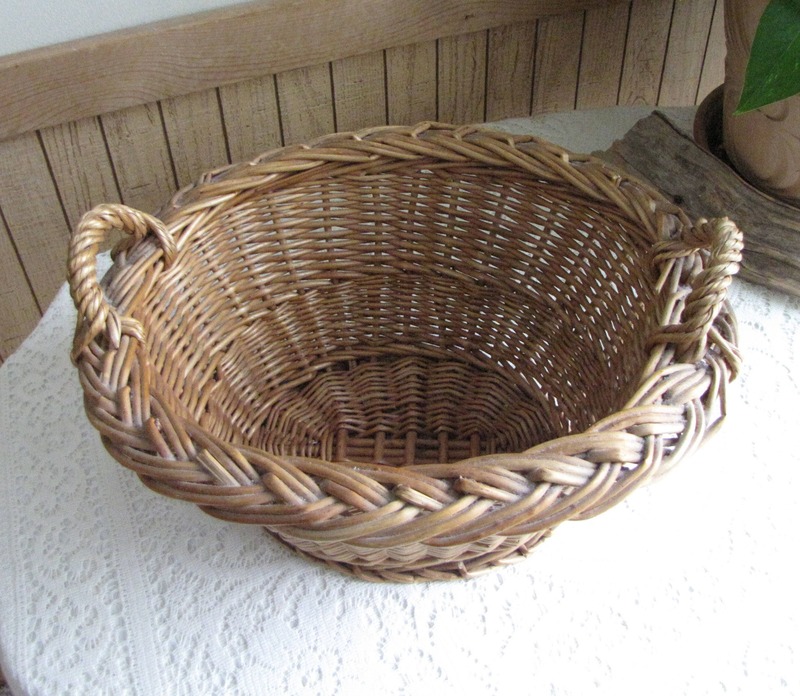 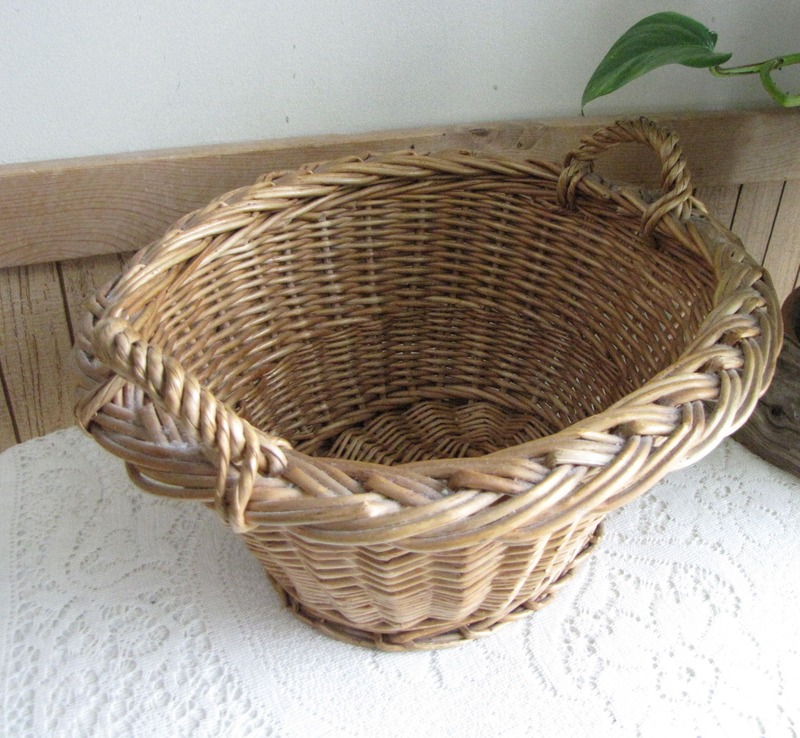 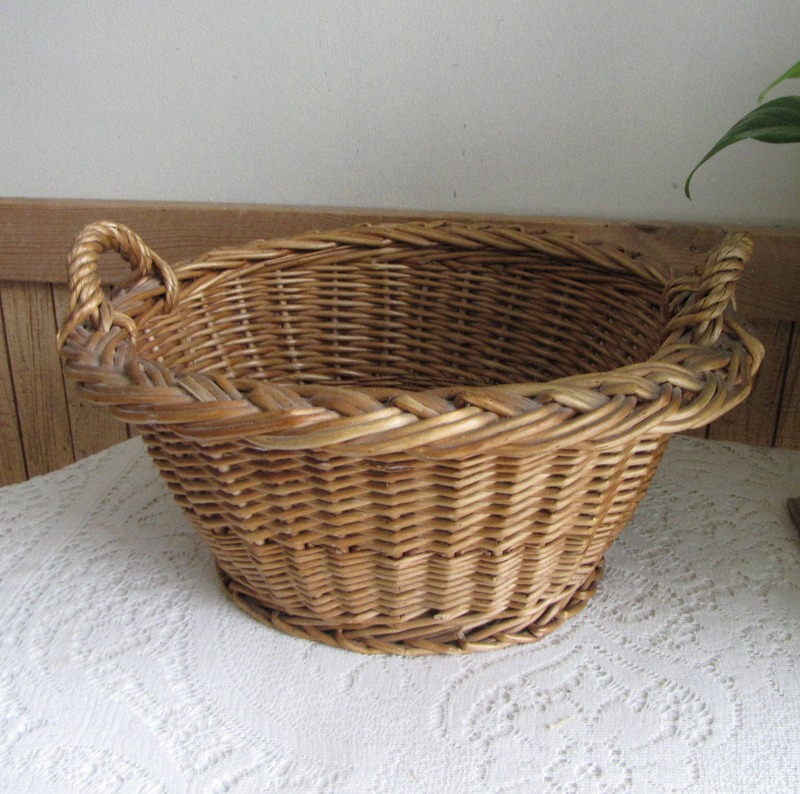 This small laundry basket is in very good vintage condition; no breaks in woven (willow, I think) body. 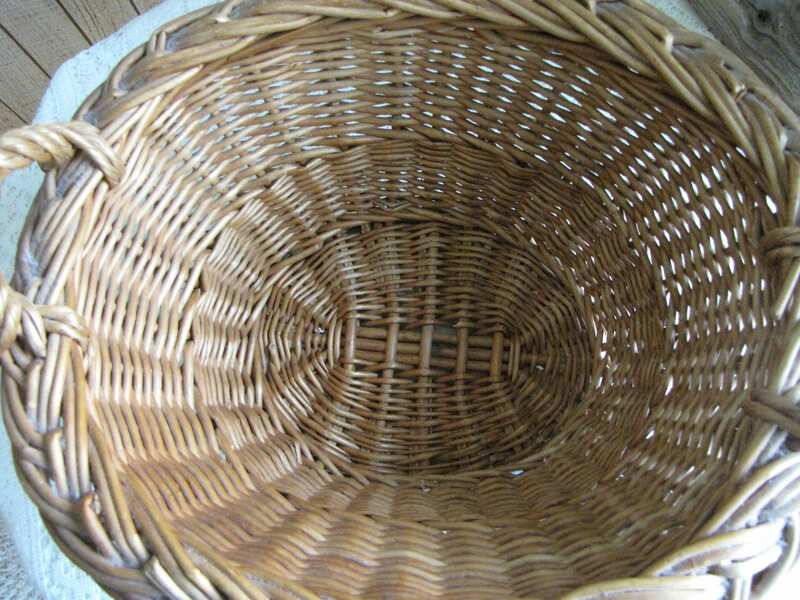 Very strong with an enhanced base. 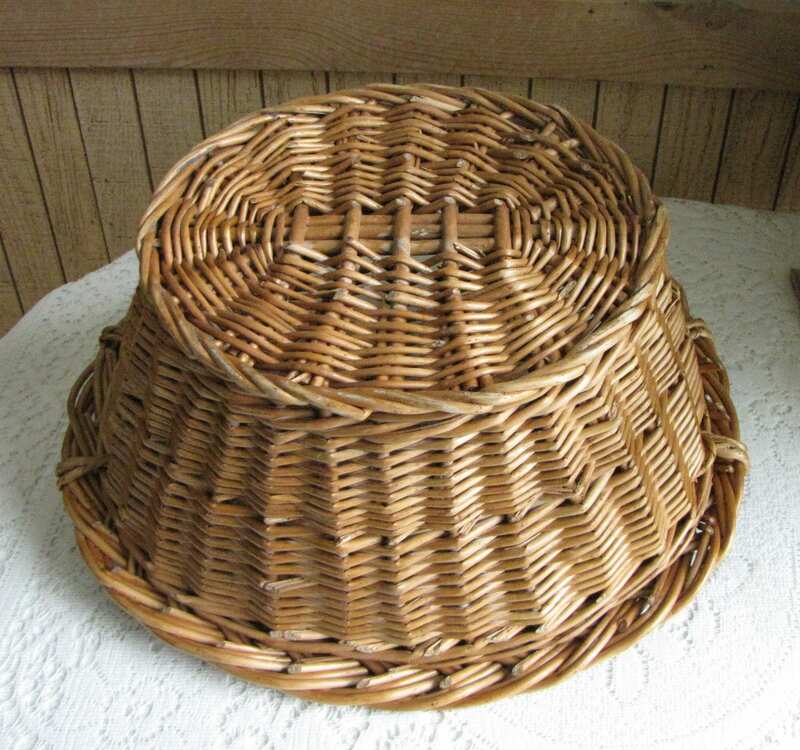 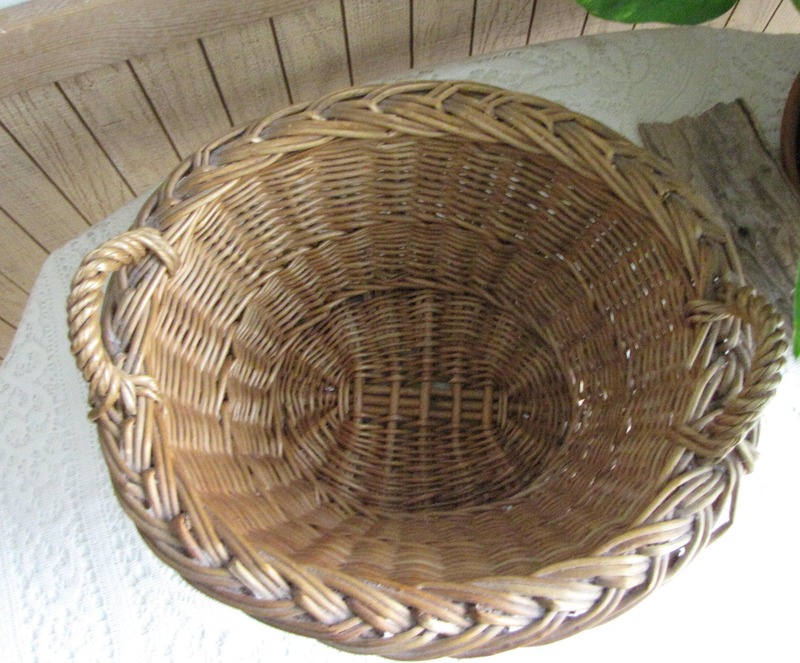 The basket measures 6 inches tall and is 13 x 12 inches across.